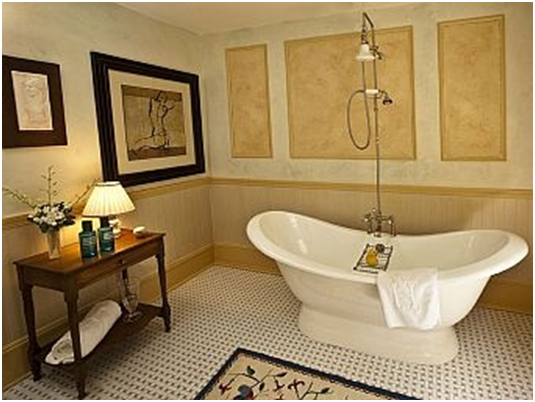 New England Living Showhouse features a pedestal tub from VintageTub.com in the Teddy Roosevelt bathroom. These luxuriously designed rooms at the Juniper Hill Inn will be available for tours until Labor Day and will be permanent guest accommodations. More pictures soon to come, so be sure to check back!